Many people model narrow gauge in On30 and HOn30. Most of these are stand-ins for 36″ or 24″ gauge railways. I thought it would be interesting to look at some prototype 30″ lines that could be subjects for On30 and HOn30 modeling. 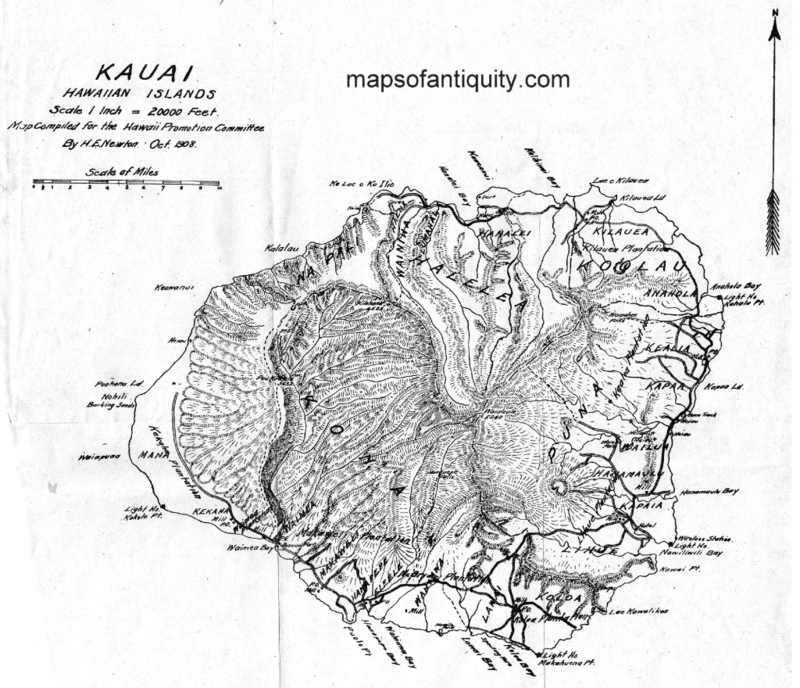 This month we will start with the sugar cane plantation railroads of Kauai. Railroads on the island of Kauai date from 1881 with the first three miles of rail laid at Kilauea Plantation, and by 1915 there were nearly 200 miles of narrow gauge track in service on the sugar plantations of the Island. While the original line at Kilauea Plantation was a 2′ gauge line (and stayed that way to the end), all the other lines on Kauai chose 30″ gauge, the only Island in the Hawaiian Chain to run with this gauge. 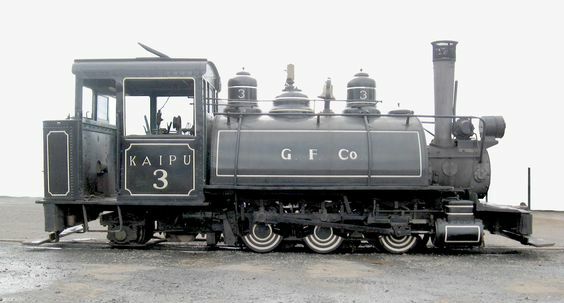 The success of the Kilauea line lead management at the Koloa Sugar Plantation, the first on Kauai, to follow their lead and order a similar Fowler locomotive, but chose 30″ (2′ 6″) gauge for their line. The reason is not known. The success of this line soon prompted management to order a second Fowler locomotive of similar size. In 1887 the Koloa Sugar Plantation ordered a 10-ton, 0-4-2T locomotive from the Hohenzollern Co. of Germany. 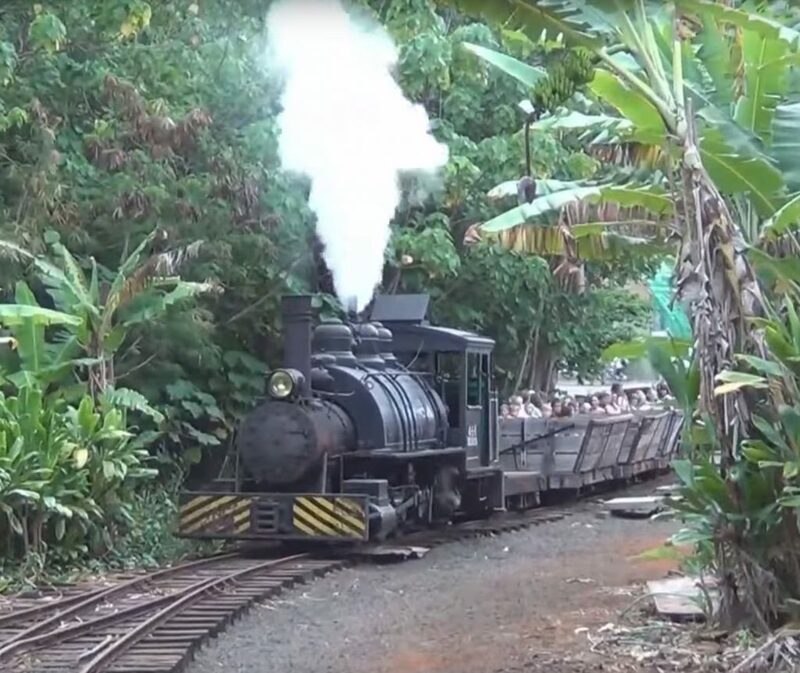 Today this engine is preserved by the Grove Farm Homestead Museum in operating condition – it is the oldest functioning plantation locomotive in Hawaii and is put in steam occasionally for special events. As the lines increased in length and management wanted to move larger quantities of sugar cane per trip, the locomotives were upgraded to larger units. The Baldwin Locomotive Works, of Philadelphia, became the prime supplier to most Hawaii plantations and Kauai was no exception. Initially the 0-4-2 design was popular, but soon the larger 0-6-2 wheel arrangement, with the water tank draped over the boiler (“saddle tank”) was favored because of it’s high tractive effort and the ability to negotiate sometimes less than perfect track. Historians have called these the “Bulldog Baldwins” for their squat, compact appearance and renown pulling ability. 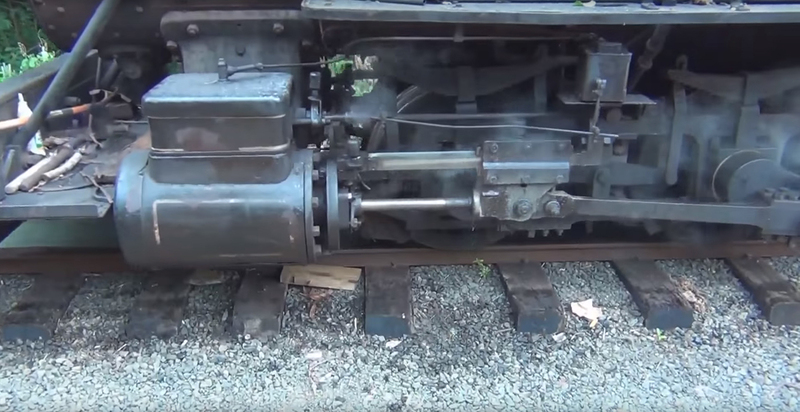 At one point there were more than 20 of these engines in service on Kauai at the same time, and three of them survive in the collection of the Grove Farm Homestead Museum, two of which are still operational. By 1927 plantation managers began to experiment with internal combustion engines and a 12-ton Plymouth diesel was placed in service at the Kekaha Sugar Company and was soon followed by similar units on other operations. In 1936 management at the Lihue Plantation purchased a 10-ton Whitcomb diesel-mechanical engine, which proved to be successful. The following year a second, similar engine was brought on line. 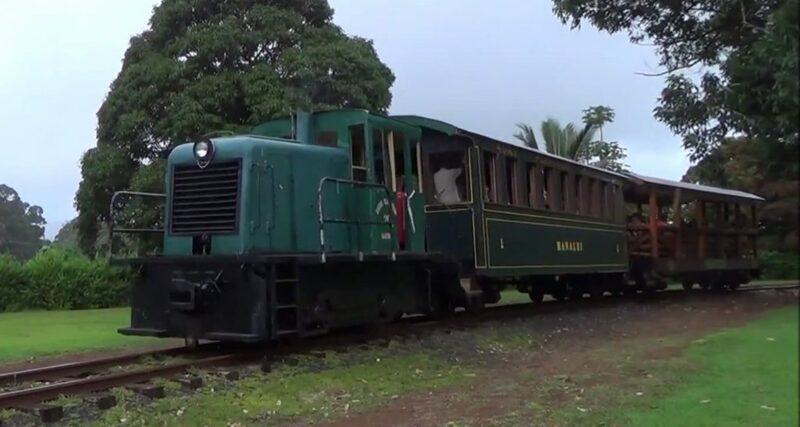 A restored a 1939 Whitcomb diesel-mechanical of the same design as the early Kauai engines and a 1948 GE diesel-electric engine similar to the early GE units purchased by Lihue Plantation Co can still be seen today at the Kauai Plantation Railway. The last surviving Hawaii sugar cane railroad by the mid 1950’s was the Lihue Plantation Co on Kauai keeping it’s railroads in service until 1959 – far longer than expected. By that time five large GE diesel engines were doing the majority of the work, with several of the old steam engines in reserve. 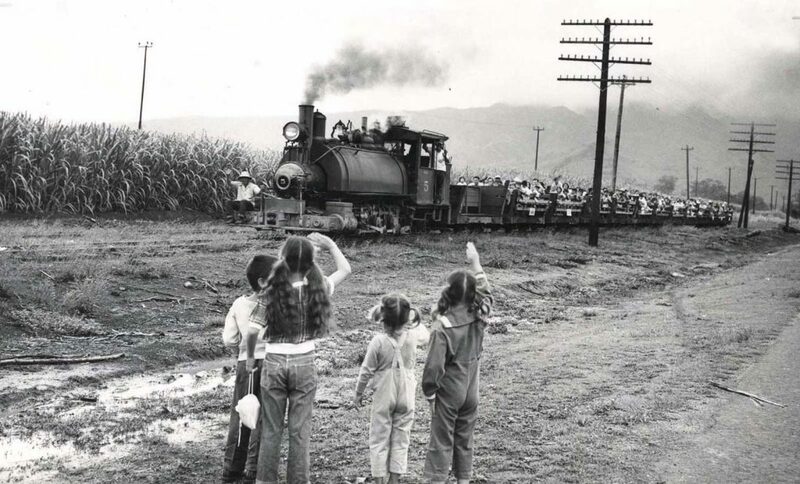 The Waialua Agriculture Company’s #5 narrow-gauge train hauls a literal trainload of laborers to work in the company’s sugar cane fields in the early 1950’s as school-children wave to crew and passengers. Through the foresight of Mable Wilcox, a member of the family who owned the Lihue Plantation Co, the Grove Farm Homestead Museum was established to help preserve Kauai’s plantation history. The museum was able to acquire and preserve four of Kauai’s steam engines, three of which have been restored to operational condition. 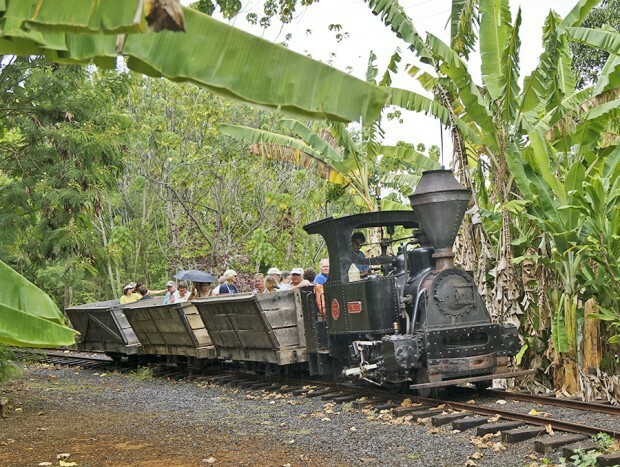 Though the plantation railroads of Kauai no longer haul sugar cane, the preservation efforts of the Grove Farm Homestead Museum, and the operations of the Kauai Plantation Railway help visitors and Island residents experience this long-gone aspect of Island life.